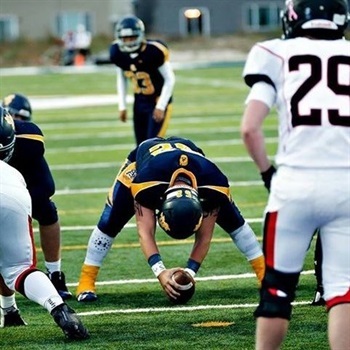 Wyoming added their 3rd verbal commitment of the week for their 2018 football class, with a commitment from West Jordan, Utah long snapper Jesse Hooper. The 6-0, 240-pound product from Summit Academy High School attended the Rubio Long Snapping Camp in Las Vegas last January and received high marks. He has visited Laramie twice on unofficial visits but has not taken an official visit yet. He picked Wyoming over offers from Dixie State (D2) , Dakota State (NAIA), and Culver Stockton College (NAIA). South Alabama and Idaho State also showed interest. “I chose Wyoming because of the family aspect. I love the fact that it is close to my home and so are all of the conference games. I also chose it because they have the degree I would like to pursue (organizational leadership or management). Laramie feels like home!”, he concluded. Coaches involved in the recruitment of Hooper included head coach Craig Bohl and special teams coach AJ Cooper. Hooper is currently rated as a 2-star prospect by Rivals.